Former Soviet President Mikhail Gorbachev has expressed grief over the death of former U.S. First Lady Nancy Reagan. "It was with deep sorrow that I learnt the sad news and I can rightfully say: well done, Nancy! She said to Ronald Reagan: when you quit the post of U.S. president, you need to go as a peacemaker," Gorbachev said in an interview with Interfax. At the time, Reagan was called a "hawk," he recalled. "And the fact that we established human relations which led to trust was mainly Nancy's merit. Without trust, there is and can be no moving forward," he said. The trust that he and Reagan had established led to the talks in Reykjavik, to stronger relations between the two countries, to the work on destroying short- and medium-range ballistic missiles, and finally, to the reduction of strategic missiles. "This would not have been possible to achieve had we not had overcome the obstacles between us. And Nancy supported her husband in that difficult and complicated time entirely. Nor did she leave him later, even in those difficult times when he fell seriously ill," he said. 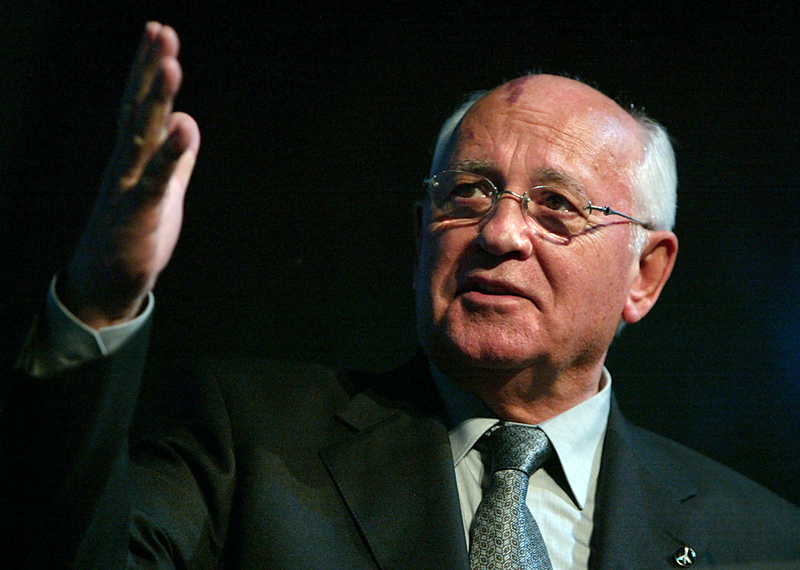 Gorbachev said that already after retiring he and his wife Raisa visited the Reagans. Sitting over tea on a country terrace, they exchanged their views on current events. "I once asked the then secretary of state [George] Shultz: tell me, please, why wasn't it possible to improve our relations earlier? Schultz replied that the obstacles that stood between our countries and the distrust between the presidents was because there had been no human relations. Nancy largely helped change this situation, which is why President Reagan can be rightfully called the most active participant in demolition of the old stereotypes which caused distrust between our countries." Gorbachev stressed that he fully agreed with Shultz on that. The former USSR president also said that even after R. Reagan's death he corresponded with Nancy and they regularly congratulated one another on their birthdays and other festive occasions. "Just recently I received yet another letter from Nancy. Raisa is gone. Both Reagans are gone. I feel sorry. Very sorry. Of course, age takes its toll, there is nothing you can do about it. But God gave her plenty of time that she lived through to good purpose both for her family and for her country and for improving our relations, human ones, both between the two presidents and between our countries," Gorbachev said.